That's right. Goodbye Horror movies, hello Awwnold films. I'll be looking at all sorts of movies throughout his career, a book or two, a television appearance, whatever else I can come up with. The whole point is that it'll be Schwarzenneger related. What better a way to start off my Arnold series than by transitioning from Horror movies to the mother of all killer monsters. I love this movie far more than I should. I didn't grow up with it, and had even seen the second one more times (it was played on TV more often, shut up), yet as soon as I finally gave this the time, I loved it. 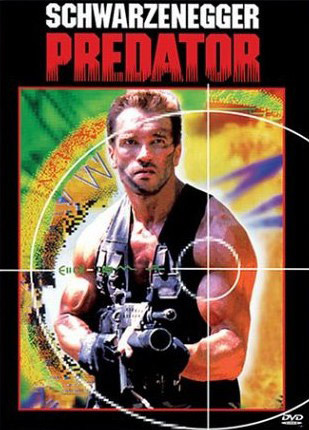 The larger than life characters that show off their badassery in the opening scene but then get picked off by the Predator one-by-one. Arnold being at his absolute most Arnoldiness (yes, that's a word). One thing I never realized is how much happens offscreen. Several characters are given most of, if not the entirety of their death not on camera. I don't have a problem with it as it's done for story purposes and not editing purposes (or at least doesn't appear that way). It's still an interesting thing to think of though when it comes to this movie since it's often viewed as uberviolent. Don't get me wrong though, this film is extremely violent. The skinned bodies still go down as one of the coolest things I've seen in a movie (this was pre-Hellraiser lacking of skin). And seeing as how this is SchwarzeNovember, I have to talk about Arnold. That man's biceps are bigger than my head. Combine his Greek-like body with the fantastic one-liners, you have the greatest action star of the 80's and this movie showcases everything that makes him a legend. 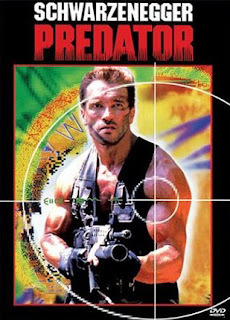 His final showdown with the predator is classic. And really, without Arnold, this movie just wouldn't be the same.